Earlier this year, Storage and Interior concepts installed a double glazed frameless glass partition in their extensive showroom in Melton Mowbray. At Storage Concepts we can design and install modular office partition wall systems for all industrial, commercial and retail environments. 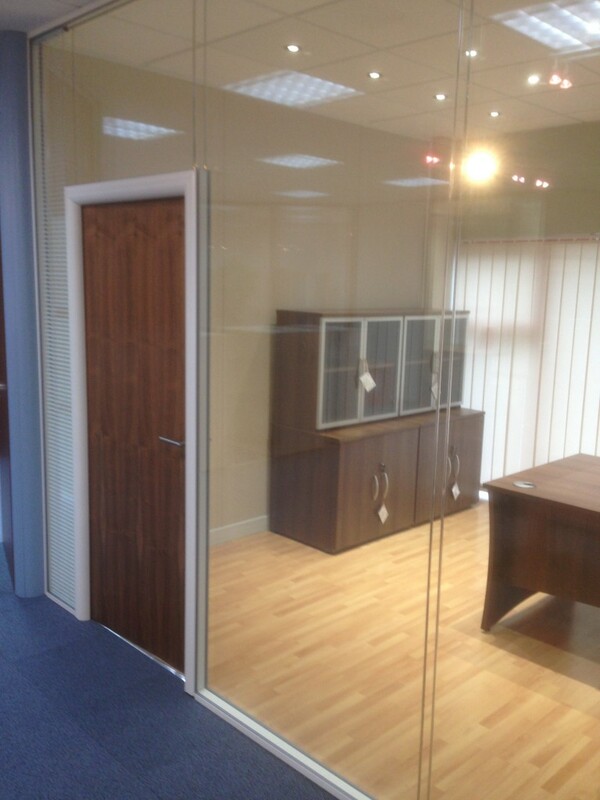 Where applicable, we will ensure partitions adhere to building regulation requirements. 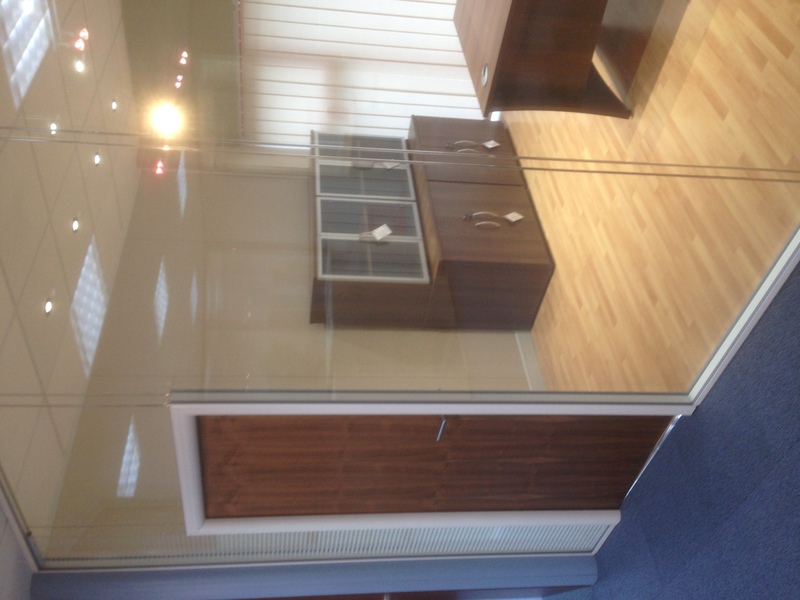 Our office partitioning is available in various heights and thicknesses, solid and glazed sections can be combined if required. These sections can help to cancel out noise. We can mix and match a multitude of styles, colours and finishes. For partitioning systems to ensure the solution you opt for complements your existing interior. The showroom also displays mezzanine floors, seating, staircases, ceilings, LED lighting, shelving, mobile storage systems, benches, slick rail storage system, lockers, steel partitioning etc. Please phone for an appointment to see the best office interior and storage system Showroomin the UK. For more information about our Office Partitioning, please call us today using the contact details below.